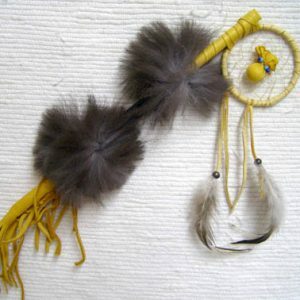 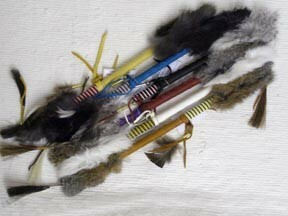 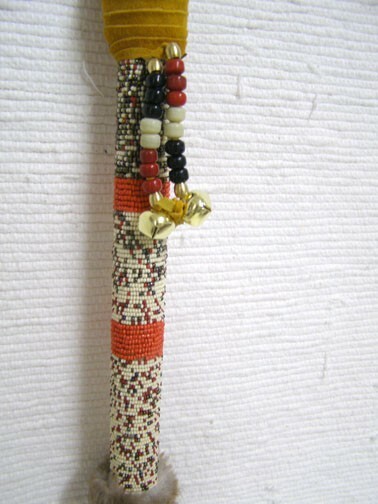 Dance sticks are used by Native American braves & warriors as they dance around a campfire. 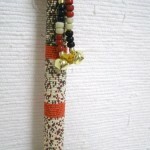 The glass beads represent the colors of the clan or the family. 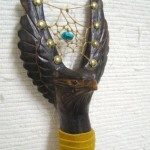 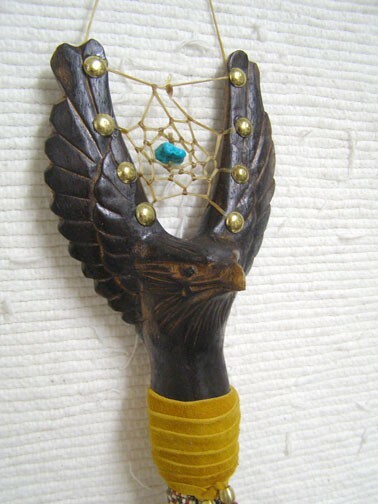 The carved eagle with spread wings represents the connection to the great spirits & carries messages & prayers to them. 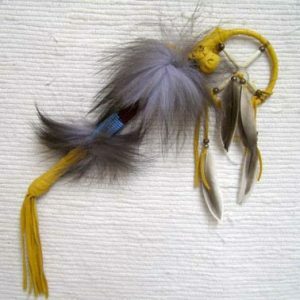 The webbing between the wings is there to catch the good spirits. 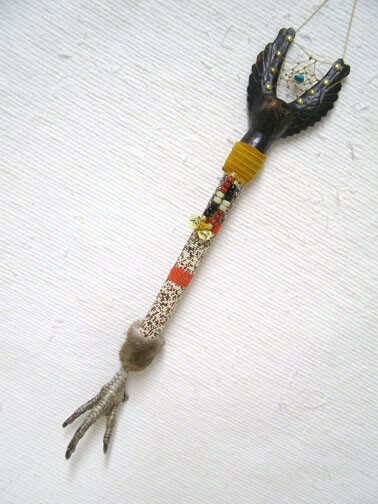 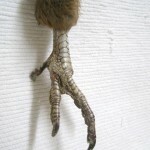 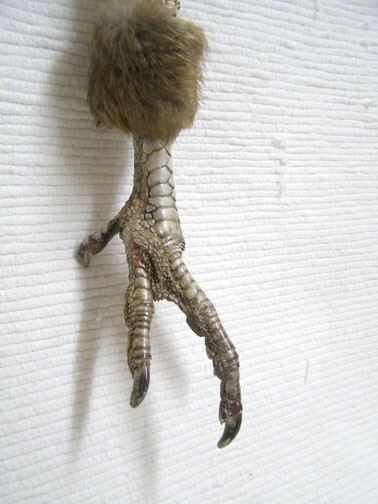 The Turkey foot shows the power of the grip of these large birds & their connection to Mother Earth. 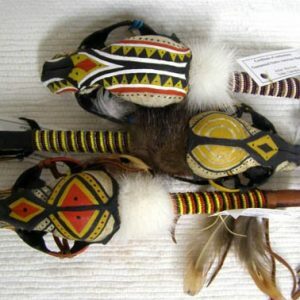 Because each one is handcrafted, each Dance Stick will be unique.